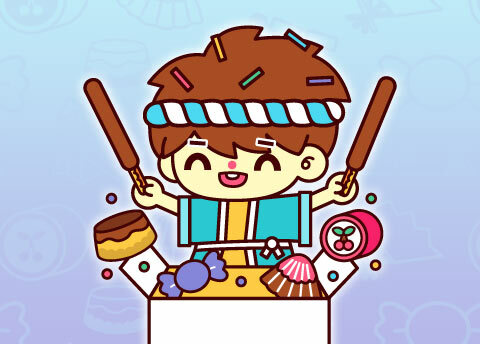 APRIL 2018: IT'S SAKURA SEASON! 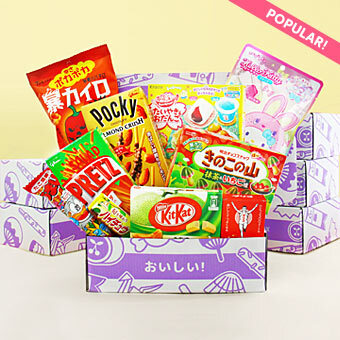 Take a peek which Japanese snacks were included in the April Japan Candy Box! 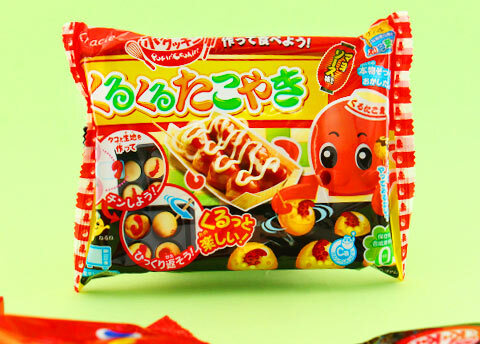 DIY set for making the popular Japanese street food snack Takoyaki (octopus balls) from candy ingredients. 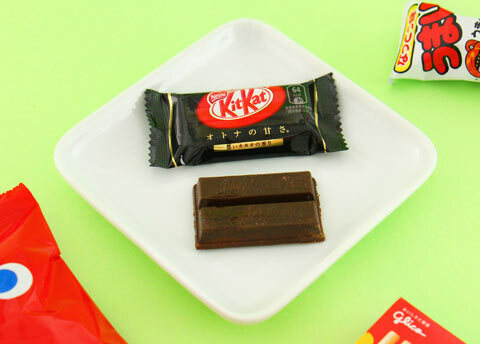 Japanese dark chocolate version of Kit Kats. 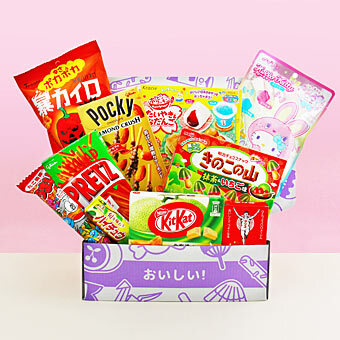 The flavor is written as 'otona no amasa' which translates to 'adults' sweetness’. 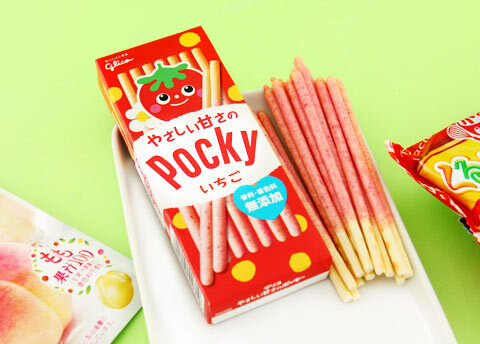 Gently sweet strawberry Pocky sticks with no artificial colors or flavorings. 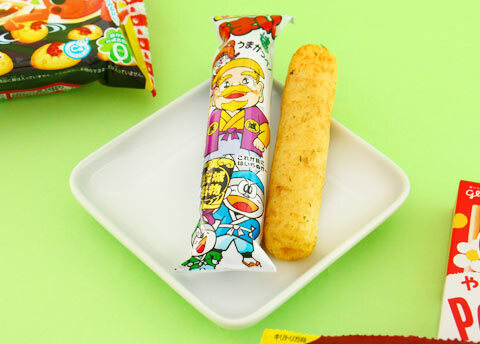 Umaibo or "delicious stick" in Japanese is a puffed corn snack. This one is flavored with Natto, fermented soya bean powder. 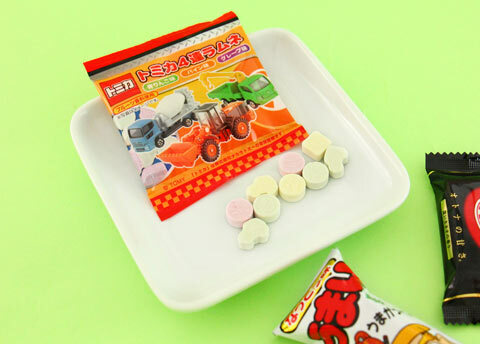 Soda flavor ramune candies in the shapes of cars and other popular Tomica toys. 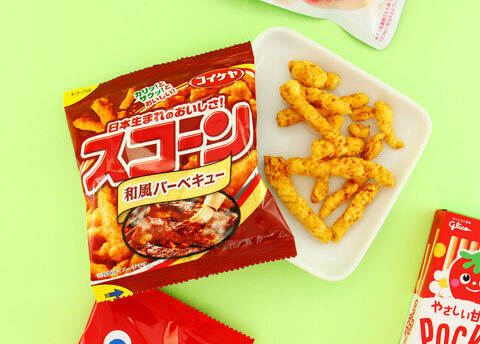 Delicious, salty and savory Japanese-style barbecue flavored corn puffs. 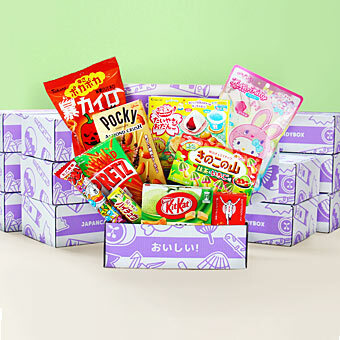 One of the best selling soft candy in Japan. 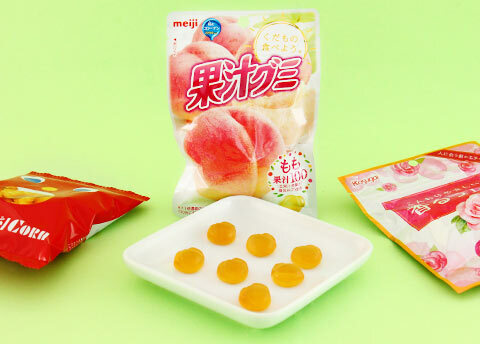 They are made with concentrated, real peach juice preserving the real fruit taste. 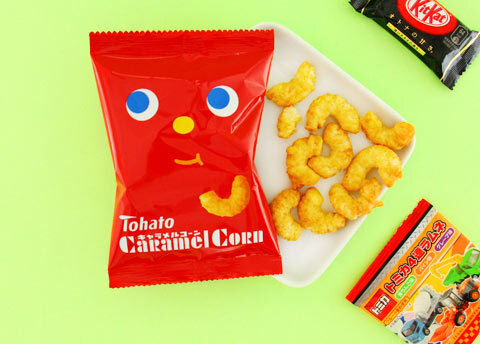 The delicious taste of caramel and the crispiness of the corn puffs make these a perfect snack! 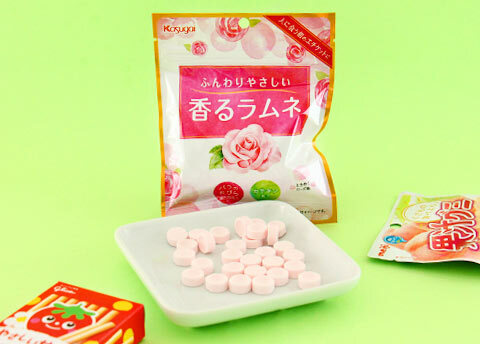 Rose flavored ramune candy blended with catechin and rose petal extract. 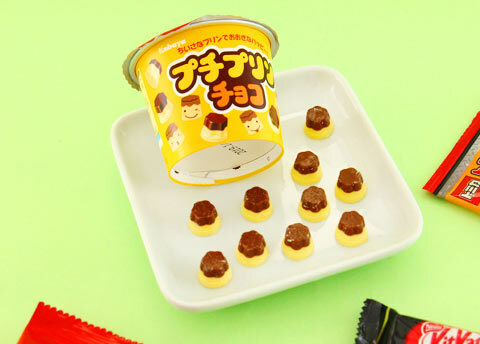 Pudding shaped cup filled with delicious mini chocolates shaped like traditional Japanese pudding.